Born in 1938, Gordon Crosby has been an artist since the early 1960s. He now resides and works from his studio in the English market town of Ludlow, Shropshire. 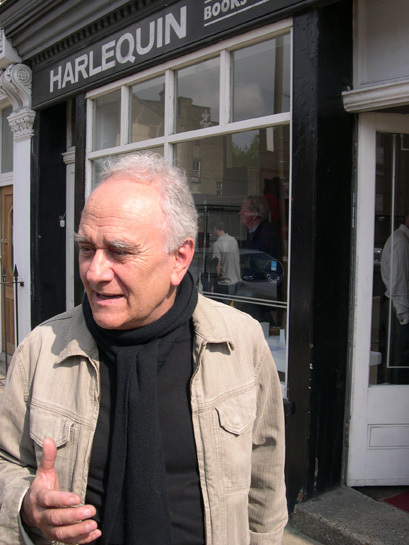 His work has been exhibited and purchased worldwide, including a joint exhibition with the late Lucie Rie at Heals in Tottenham Court Road. As well as exhibits in England, Gordon has been involved in shows in Denmark, Holland, Australia and the USA. His influences range from American potters Peter Voulkos & Paul Soldner and painters such as Franz Kline, Robert Motherwell & Roger Hilton. His paintings and prints evolved from the process of applying decoration to his pots, initially inspiring him to create small prints, and then expanding on to large canvases. An American art collector commented on receiving one of Gordon's teabowls: "I could wax poetic and say that it is a vision of art being born and rising from the inchoate earth, or I could just shut my mouth and be in awe of the magnificent piece..."